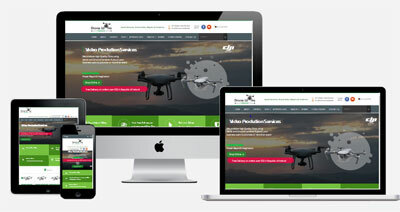 Western Webs were commissioned by Drone Works Ireland in Galway City to develop an eCommerce website to promote the range of office products and services offered by the company. Drone Works Ireland specialises in the supply of high end drones for a variety of commercial, private and recreational use as well as providing our own highly qualified and experienced pilots for all you droning and filming needs. Drone Works Ireland offer the DJI Phantom and Inspire products, plus the Yuneec Typhoon product. Our video services are wide-ranging and include Aerial Photography, Survey and Inspection, Sport and Leisure, Events and Travel & Tourism. We have an impressive client base which included RTE, Independent Newspapers, Druids Glen, Dublin Zoo, Dublin City Council, GAA and The Dept of Transport. The website is built using WooCommerce shop software with a WordPress front-end. It is mobile responsive, optimised for fast loading performance and hosted in Ireland. Click to visit Drone Works Ireland website.